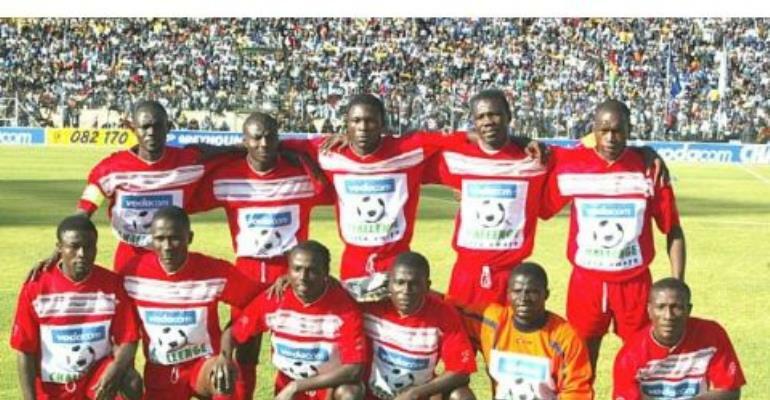 Accra, Jan 24, GNA - Kumasi Asante Kotoko Football club would soon appear before the Disciplinary Committee (DC) of the Ghana League Clubs Association (GHALCA) to justify why it must not be sanctioned for its role in the abrupt end of their Coca Cola Top Four encounter against Kpando Heart of Lions played at the Ohene Djan Sports Stadium on Sunday. GHALCA on Monday afternoon tasked the Committee to take immediate decisions on the issue at the end of the Association's emergency meeting that discussed the "shocking" incident. Also to appear before the Committee are Lions and the match officials. Angry officials of Kotoko on Sunday matched off their players from the field with three minutes of play left in protest against a penalty decision in their opener against the debutants. Mr Kudjoe Fianoo, Administrative Manager of GHALCA told the GNA Sports that Kotoko would be summoned before the Committee to answer questions on their actions and inactions that led to the sudden end of the game in the Association's quest to inject credibility into the tourney. Contrary to suggestions that the organizers must refer the case to the Disciplinary Committee (DC) of the Ghana Football Association, the Administrative Manager said, "We believe in the abilities of our DC and intend to refer to the umbrella body only when it is evident the case is beyond them". He said that the case was a straightforward one, which lacks the tendency of posing any major headache to the Committee. Kotoko officials led by Mr Jerry Asare, their Accra Representative and Sarfo Gyamfi, a former player of the club asked the players to leave the field of play when FIFA Referee, Joseph. O. Lamptey pointed to the spot after Issah Ahmed had brought down a Lions' player in the box on the 87th minute mark. The Lions opened the scores in the 46th minute when Sadat Bukari applied his head to a lob from the right flanks but the goal was cancelled by Osei Kwame in the 73rd minute from what some connoisseurs believed looked like a seemingly off-side positioning.